Extinction of Lions Looming – In Depth Analysis. Nearly a century ago there were some two hundred thousand lions inhabiting the vast majority of Africa from north to south east to west. Today there are a mere thirty thousand if that. Many lions are bred in captivity (I.e. canned hunting farms) which poses a serious disease and virus risk to non-captive animals least forgetting to the genetic risk as we have explained in previous documentations. Hunters can agree or disagree with us. Whether you like it or not the Panthera leo is on the decline and still the United States Fish and Wildlife Service have yet to take this matter seriously. International Animal Rescue Foundation Africa has been lobbying the USFWS (United States Fish and Wildlife Service) for over two years to ban exports of trophy lions from Africa into the United States, but still today to no avail. We do believe though that progress is being made and exports will be banned eventually. Identified in 1758 by Dr Carl von Linnaeus the Panthera leo has declined over much of its range which is now raising concerns. Hunting is no more a problem than poaching or “increased farming” to supply Asia with lion bones for pseudo medicine (lion/tiger bone wine). Evidence has clearly shown (2010-2012 -2012-2013) professional hunters, ranchers and farmers have been advertising lion trophy hunting at decreased package prices, plus pushing lion hunting as the main attraction for their (hunting organisation) at cheap prices for longer stays. Evidence has also indicated to us that the majority of these lion farmers are trading bones from Africa into Asia of which they obtain quite a significant profit return. Farmers and ranchers, hunters too are making quite a profit yet continuing to feed a demand for fake medicine. International Animal Rescue Foundation Africa identified that from 1996-2011 the majority of lion population declines were quite rampant, almost identical to that of the increase of Rhinoceros poaching. 2000 saw populations declining over much of the Lions range exactly when poaching for Rhino horn skyrocketed. Is there a link between the two? we believe so. The Lion formerly ranged from northern Africa through southwest Asia (where it disappeared from most countries within the last 150 years), west into Europe, where it apparently became extinct almost 2,000 years ago, and east into India. Today, the only remainder of this once widespread population is a single isolated population of the Asiatic Lion P. leo persica in the 1,400 km² Gir Forest National Park and Wildlife Sanctuary. Lions are extinct in North Africa, having perhaps survived in the High Atlas Mountains up to the 1940s. To date the “only” Africans lion extinction has occurred in Gabon however some evidence still required on this, however regionally extinctions have occurred in Afghanistan, Algeria, Djibouti, Egypt, Eritrea, Gambia, Iran, Islamic Republic of Iraq, Israel, Jordan, Kuwait, Lebanon, Lesotho (small country within South Africa) Libya, Mauritania, Morocco, Pakistan, Saudi Arabia, Sierra Leone, Syrian Arab Republic of Tunisia, Turkey and the Western Sahara. The only lion species you will see within the “extinction zones” are captive bred lions or lions bred for tropical pet trade. Lion populations still remain although prides are decreasing in Angola, Benin, Botswana, Burkina Faso, Cameroon, Central African Republic, Chad, Congo, The Democratic Republic of the; Côte d’Ivoire, Ethiopia, Ghana, Guinea, Guinea-Bissau, India, Kenya, Malawi, Mali, Mozambique, Namibia, Niger, Nigeria, Rwanda, Senegal, Somalia, South Africa, Sudan, Swaziland, Tanzania, United Republic of Uganda, Zambia and Zimbabwe. In 1950 Myers wrote that lion numbers could have been cut in half to as low as 200,000 remaining throughout the African continent. Later, Myers (1986) wrote, “In light of evidence from all the main countries of its range, the Lion has been undergoing decline in both range and numbers, often an accelerating decline, during the past two decades”. In the early 1990s, IUCN SSC Cat Specialist Group members made educated “guesstimates” of 30,000 to 100,000 for the African Lion population. The most quantitative historical estimate of the African Lion population in the recent past was made by Ferreras and Cousins (1996), who developed a GIS-based model to predict African Lion range and numbers, calibrated by surveying experts about the factors affecting Lion populations. First they correlated vegetation (Leaf Area Index) with Lion densities, using known values from 37 studies in 19 African protected areas, and mapped potential Lion range. Then the reduction effect of human activities on Lion range and numbers were estimated. Lion experts were surveyed in order to develop and rank a set of factors which would lead to lower Lion densities as well as Lion absence. These included agriculture, human population density, cattle grazing, and distance from a protected area, and were derived from GIS databases of varying age. For example, in areas identified as main cattle grazing areas Lion density was reduced by 90%, and in areas identified as having widespread agricultural cultivation or high human population density (> 2.5 people/km²) Lions were considered absent. Lion density was reduced by 50% in areas with low human population density (1-2.5 people/km²). Because of the age of their data sources on extent of agriculture and pastoralism, Ferreras and Cousins (1996) selected 1980 as the base year for their predicted African Lion population of 75,800. They emphasized the need for ground-truthing their estimate by censuring Lions, particularly outside protected areas. What we know now is that The ALWG African Lion population estimate is 23,000; with a range of 16,500-30,000 more shockingly Philippe Chardonnet sponsored by the International Foundation for the Conservation of Wildlife and Conservation Force has provided a more realistic number of lion populations being some 39,000 Lions in Africa, with a range of 29,000-47,000. Now digest that number (39,000) with the overall population size only a century ago at some (200,000). Lions are in danger just as much as the Rhinoceros and the Elephant all three species are heavily exploited, hunted and poached plus used within Asia for fake medicinal purposes demand and trade for wildlife products. Least forgetting too habitat fragmentation, unsustainable agriculture, increased aquaculture, grazing, industrialization and increased land destruction to provide homes for the humans of which human population is intensively increasing within Africa. Hunting and poaching is not the only problem that threatens our lion species within the African continent and under no circumstances should this ever be stated as the main number one problem – trophy hunting does rank second though and whilst we can take action against this – human over population and increased human refuges coming travelling into Africa due to conflict is not a problem treated easily. Approximately 30% of the individual population estimates compiled by the African Lion Working Group were based on scientific surveys. Techniques for these surveys included total count based on individually identified body features, sampling by use of calling stations playing recordings of hyena and/or Lion prey, and mark-recapture methods including radio telemetry, photo databases, and spoor counts (Bauer and Van Der Merwe 2004). Seventy percent of their population figures were derived from expert opinion or guesstimate. In the other survey, 63% of Chardonnet’s (2002) individual population estimates were based on expert opinions or guesstimates. Twelve percent of Chardonnet’s (2002) estimates were based on scientific surveys, and a further 25% were derived from extrapolation of variables from nearby populations and catch-per-unit effort-estimates based on Lion trophy hunting. Estimating the size of the African Lion population is an ambitious exercise involving many uncertainties. The three main efforts (Ferreras and Cousins 1996; Chardonnet 2002; Bauer and Van Der Merwe 2004) all use different methods. The African Lion Working Group compiled individual population estimates primarily from protected areas (23,000 Lions: Bauer and Van Der Merwe 2004). In 1980, Ferreras and Cousins (1996) predicted 18,600 Lions to occur in protected areas. This was probably an underestimate as not all protected areas inhabited by Lions at that time were included. Still, the comparison suggests that the number of Lions in African protected areas has remained stable or possibly increased over time. But Ferreras and Cousins (1996) predicted that most Lions in 1980 were found outside protected areas. Chardonnet (2002) finds that unprotected areas still comprise a significant portion (half) of the Lion’s current African range. Comparison of Ferreras and Cousin’s (1996) prediction of 75,800 Lions in 1980 (roughly three Lion generations ago) to Chardonnet’s (2002) estimate of 39,000 Lions yields a suspected decline of 48.5%. This calculation suggests a substantial decline in Lions outside protected areas over the past two decades, other surveys in detail can be located herein. Ferreras and Cousins (1996) may have over-estimated the African Lion population in 1980, as their number was derived from a model rather than actual Lion counts, and so it is possible that the rate of decline of the African Lion population may be lower. A group exercise led by WCS and the IUCN SSC Cat Specialist Group estimated that 42% of major Lion populations were declining (Bauer 2008). The rate of decline is most unlikely to have been as high as 90%, as reported in a series of news reports in 2003 (Kirby 2003, Frank and Parker 2003). Genetic population models indicate that large populations (50-100 Lion prides) are necessary to conserve genetic diversity and avoid inbreeding, which increases significantly when populations fall below 10 prides. Male dispersal is also an important factor in conserving genetic variation. These conditions are met in few wild Lion populations, although there are at least 17 Lion “strongholds” >50,000 km² in extent. Unfortunately lion populations within Africa are decreasing sporadically and little effort to stop such diminishing species decline is being made or seen within Africa and abroad. Only in March of this year (2014) Activists globally, raised awareness of the plight facing our lion species within Africa with regards to canned hunting however as explained in various articles these activists voices seem to have fallen upon deaf ears which is disheartening to know. The main threats to Lions are indiscriminate killing (primarily as a result of retaliatory or pre-emptive killing to protect life and livestock) and prey base depletion. 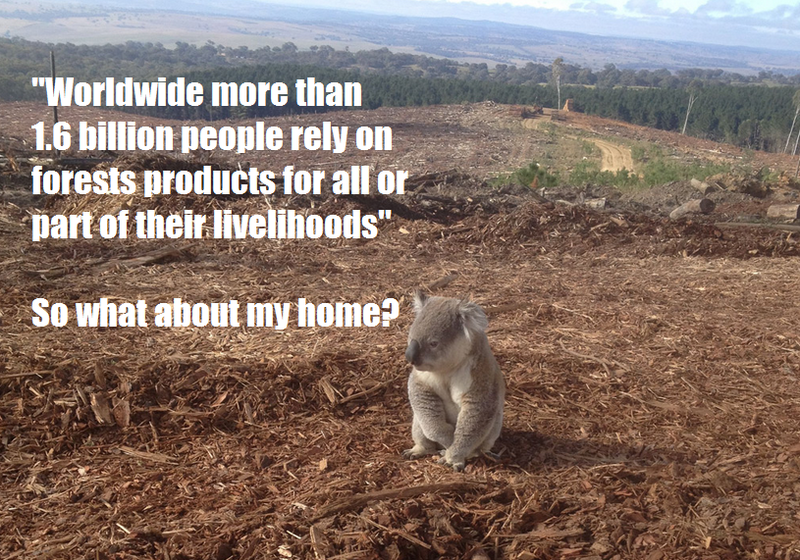 Habitat loss and conversion has led to a number of populations becoming small and isolated. 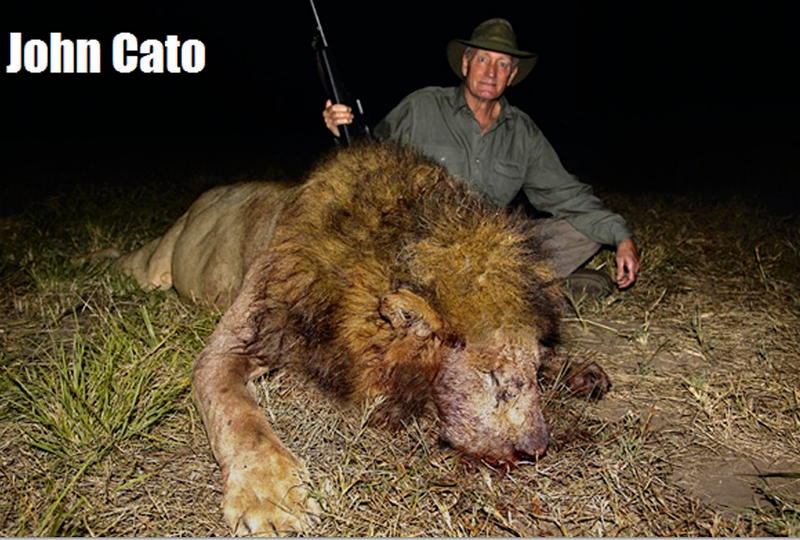 Studies have shown that lion hunting is not “just” a problem. The economic impact of stock raiding can be significant: It was estimated that each Lion cost ranchers in Kenya living alongside Tsavo East National Park US$290 per year in livestock losses. Likewise, annual losses of cattle to Lions in areas adjacent to Waza National Park in Cameroon comprised only about 3.1% of all livestock losses, but were estimated to represent more than 22% of financial losses amounting to about US$370 per owner. Consequently, Lions are persecuted intensely in livestock areas across Africa; their scavenging behaviour makes them particularly vulnerable to poisoned carcasses put out to eliminate predators. Little actual information exists on the number of Lions killed as problem animals by local people, even though this is considered the primary threat to their survival outside protected areas. Implementation of appropriate livestock management measures, coupled with problem animal control measures and mechanisms for compensating livestock losses, are some of the primary responses to resolving human-Lion conflict. Trophy hunting is carried out in a number of sub-Saharan African countries and is considered an important management tool for providing financial resource for Lion conservation for both governments and local communities. However, there is concern that current management regimes can lead to unsustainable offtakes. Disease has also been a threat to Lion populations of which much evidence has been collated to show that lion farming for the canned hunting industry has been responsible for few zoological diseases being spread onto non-captive lions. In parts of south-eastern Tanzania there have been alarmingly high incidences of people killed by Lions, with up to 400 human Lion-related fatalities recorded from 1997-2007. Time and time again we witness many farmers and professional hunters trying to confuse the public into believing that canned hunting of Lions is effectively controlling their populations in the name of conservation. And as stated above hunting has been considered an important management tool (IUCN 2012). 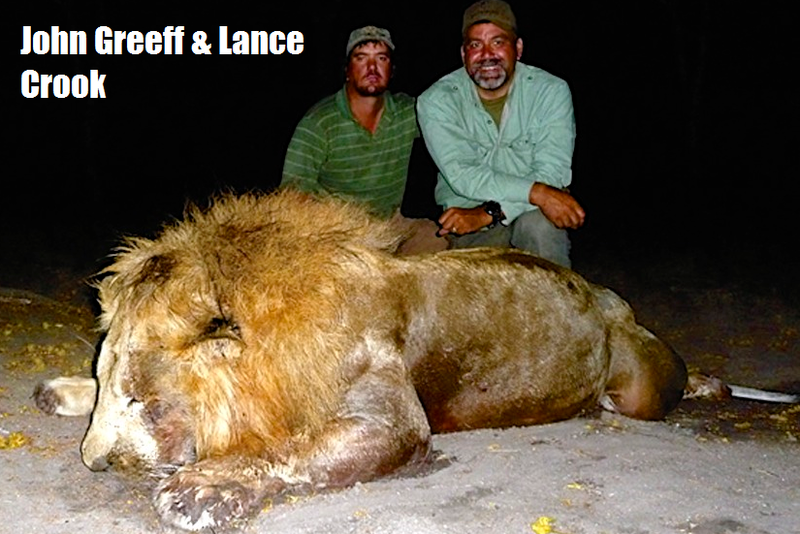 Breeding lions for the gun is not conserving their species within the wild and that is a fact. Lion breeders will often confuse many people by stating to the tourist or “veterinary student” that “their” hand reared lions are being released back into the wild or are moved to other reserves or sanctuaries. Fact is no “human bred lion” bred on farms in Africa or outside of Africa that has been in direct contact with humans can ever be released back into the wild. There are few reports of captive bred lions released back into the wild however this has its dangers and more set backs for the lion than the release owner. Fact is when lions are bred in captivity have their natural behaviors removed the chances of them ever being able to live any form of normal life within the wild is extremely slim mostly occurring in the death of the lion soon after. African Dankbaar Lion Breeders South Africa – Hi Linda, now after you have seen this photo, do you really think I will be able to sell these animals for hunting? We are trying something good here and just for your interest we are (with some other breeders) trying to bring back the old Cape Lion back to life not actually help destroys it! Why is it that humans first want to see the bad in people? Do you know without looking it up, how many lions are left in the world? We are trying to help these animals, I could have called ourselves a Lion Sanctuary or registered an article 21 company and lived off donations of the public, but we did not. So with all respect keep your silly comments to yourself or even better came and visit us please. Please note before reading on. African Dankbaar Lion Breeders South Africa is not under any circumstances breeding lions to increase the Cape Lion species or to bring back the Cape Lion. There are no Cape Lions within South Africa and all are now extinct. If you are a tourist reading this please ask yourself these questions. Why are these cubs not with mother and father? Why are the cubs in many pictures including that of a Forest Duiker being hand reared by humans. Why are human and cub sleeping. What would you a MOTHER be doing now if your child was taken from you by another human that then took the baby to bed? This is not rocket science please think before ever contributing to such companies and if EVER in doubt please contact us below at. info@international-animalrescue-foundation.org.uk addressing your email to the African External Affairs Department. The owner of the so called rehabilitation park stated the following last February when challenged. 3rd February this comment was sourced and just to show you what an uneducated man this breeder is he states that some Cape Lions were located in a zoo 20 years ago which is partially correct (not 20 years ago though) we are only in 2014 do the mathematics please (2000-2001 is when John Spence, director of the Tygerberg Zoo, brought back some Cape Lion species). The Cape Lion was never given to the Dankbaar Breeders Farm but to the Tygerberg Zoo (now closed) due to lack of funding. 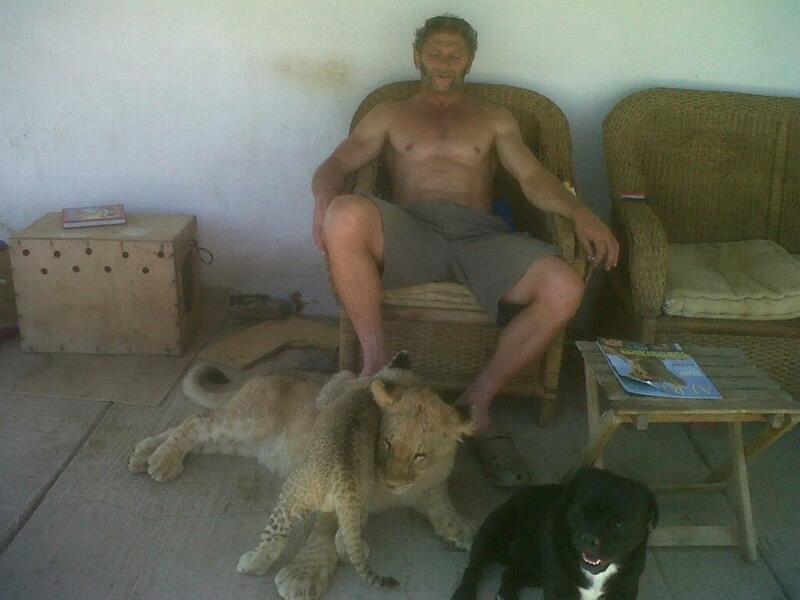 Read more here http://news.nationalgeographic.com/news/2001/07/0726_capelion.html The man that owns this breeding farm confusing the public into actually believing Cape Lions are being freed back into the wild is known as Mynhardt Loubser of which is not the respected Mr John Spence ex director of Tygerberg Zoo. 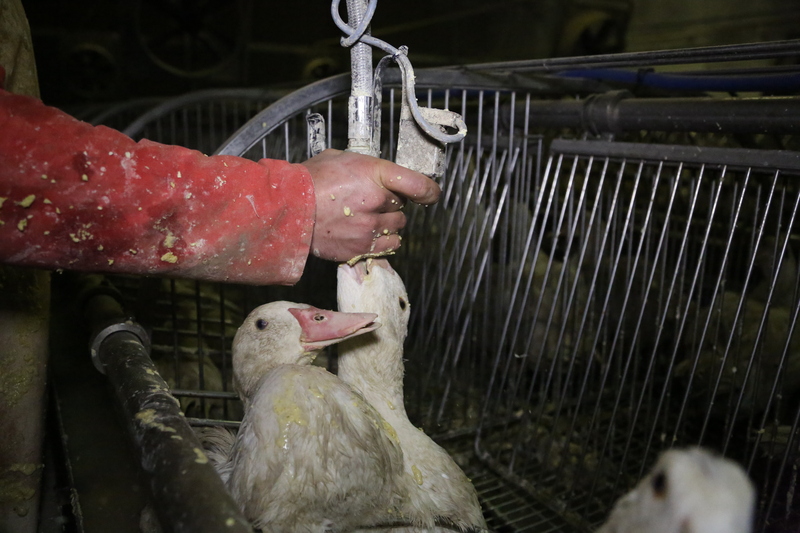 Does Loubser’s family care about animals? Just look at his daughter below how charming. 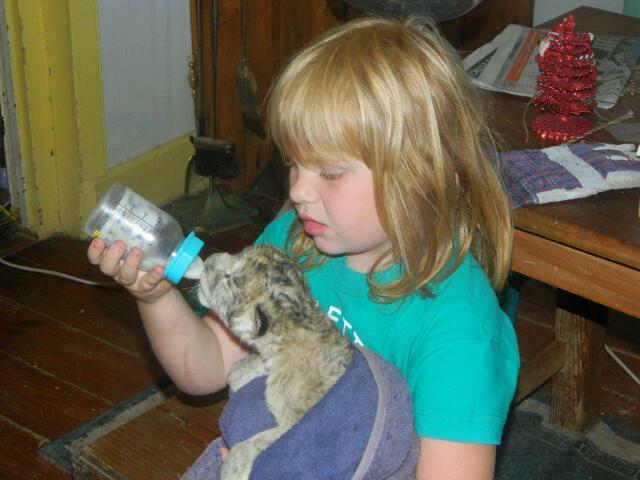 The same daughter that cuddles and sleeps with the (supposedly extant) “Cape Lions”. One only has to ask oneself where do the remaining surplus stock of lions end up, the fact the owner states “do you really think I will be able to sell these lions for hunting” is quite astonishing as this practice of hand rearing lions via petting farms for example is an ongoing issue in South Africa of which leads directly to “hunting”. Another lie that has been stated here too is that of where the owner states were trying to bring back the old cape lion. Basically he seems to be forgetting that the way in which he allows people to interact with the lion[s] taking all hunting and natural behaviors away leads to no “wild rehabilitation”. Dankbaar Lion Breeders are also supportive of hunting and if ever you do visit them please ask as many questions as possible and seek evidence of such “cape lion” rehabilitations or any lion rehabilitation into the wild. The cape lion generically identified as Panthera leo melanochaitus is “extinct”. As with the Barbary lion, several people and institutions claim to have Cape lions. In 2000, possible specimens were found in captivity in Russia and brought to South Africa for breeding. There is much confusion between Cape lions and other dark-coloured long-manned captive lions. Lions in captivity today have been bred and cross-bred from lions captured in Africa long ago, with examples from all of these ‘subspecies’. Mixed together, hybridized, most of today’s captive lions have a ‘soup’ of alleles from many different lions. Yes there are many Black Manned Lions within this “breeding farm” there are though no true Cape Lions. The sad reality here and looking at the photographs plus the way in which the “cubs are handled and not seen with mother” quite confidentially informs us that this is nothing but an unhygienic lion breeder supplying lions and other game for the gun. Whilst breeding of lions continues and whilst human bred lions cannot be rehabilitated back into the wild the demand from Asia for “lion bone wine” will continue, Whilst the demand continues so will poaching as prices change, more similar to that of the Rhino horn trade there is a unique identical connection between the two. Back in 2013 (July) an environmental team from the International Animal Rescue Foundation EaD unit traveled to Thailand and China in search of wildlife products of which located bottles of Tiger bone wine priced from $100 to $1,500 a bottle. The majority of these bottles were new and priced at just under $40USD. 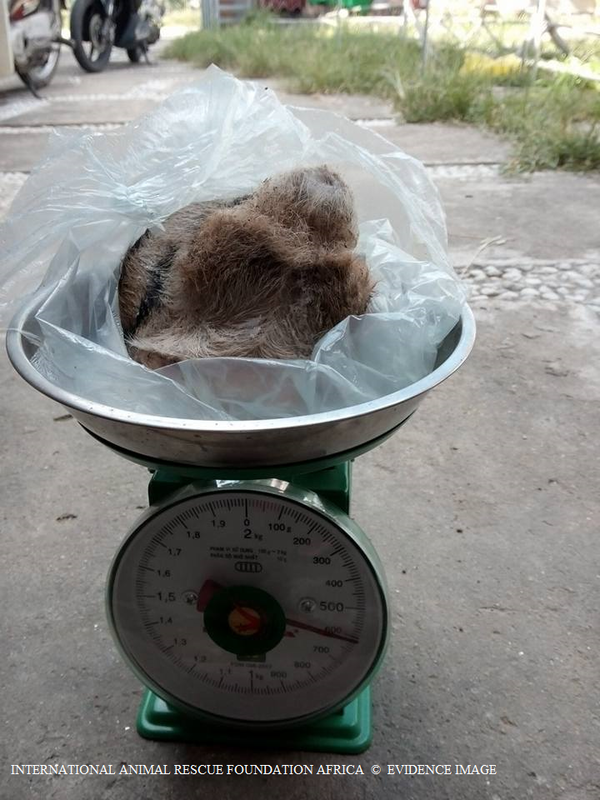 Some were priced even higher – prices depend on how long the carcass was brewed within the vat of rice wine and other chemicals. On questioning the peddlers they remained quite silent and gave no real information as to where the bones originated from. However knowing there is literally some 1,500 tigers within the wild and seeing the majority of bone wine on sale at a mere $30-60 a bottle indicates to us “lion bone trade” is significantly high from Africa to Asia. We know the vast majority of “newly packaged” bottles of wine were not from Tigers. Based on poaching reports and statistics to that of Tiger farms within Asia we can confidentially state that many bottles were not that of true Tiger bone wine which again raises concerns with regards to the depletion of lions within the canned hunting business and poaching. Lion bones are a sought-after ingredient used to make lion bone wine, a substitute for the traditional Asian cure-all, tiger bone wine, which fetches up to R250 000 a case at illicit auctions. Conservationists have warned that captive breeding and canned hunting programmes in South Africa are providing a source for the lion bone trade. 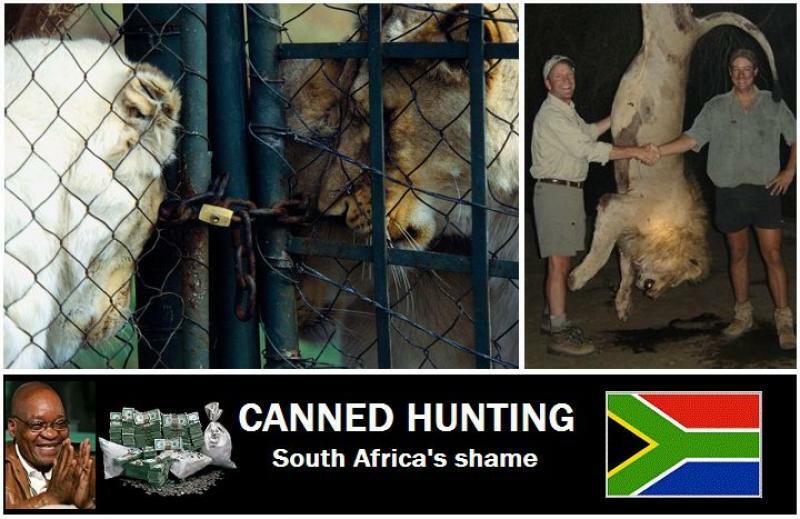 Canned lion hunting is legal in South Africa, as is the exporting of lion carcasses. Lion populations across Africa have been reduced by 90% over the past 50 years, but lion breeders say their operations have nothing to do with the continent’s wild populations. Farmers and hunting operators charge in the region of about $20 000 (R160 000) as a “trophy price” and hunters can expect to pay around $18 000 (R145 000) for other services, excluding taxidermy. But the hunters are only interested in the head and skin of the lion, and often leave the bones with the breeder, who can then sell the bones, with a government permit, to Asian buyers for use in making lion bone wine. It’s estimated that a complete lion skeleton can sell for as much as R80 000. Evidence emerged that over 1 400 lion and leopard trophies were exported from the country in 2009 and 2010. According to the environmental affairs minister, in 2010, 153 live lions were exported as well as 46 lion skins, 235 carcasses, 592 trophies, 43 bodies and 41 skulls. It was noted that these figures were incomplete as the provinces had not yet captured all their data. Yet there was a 150% growth in exports of lion products from 2009 and 2010. Pieter Kat, director of the UK-based conservation organisation LionAid, said a lot could be achieved simply by placing a ban on the export of lion bones. Lions are listed on appendix two of the Convention on International Trade in Endangered Species of Wild Fauna and Flora, which means that a government permit is needed to export any lion products. “It will take a position of responsibility by South Africa to say, ‘No more, we will not allow this,'” he said. “South Africa is within its rights [to] say no more export permits,” said Kat. Kat said that while one could argue about the ethics of breeding lions just to be shot, it was important to bear in mind that whatever South Africa did in terms of its legal trade in lion bones would affect wild lion populations all over the continent. Kat pointed out that there are only about 20 000 lions left on the entire continent – down from about 200 000 in the 1970s. In the past few years Côte d’Ivoire, Ghana and the Republic of Congo-Brazzaville have lost all their lions, while countries like Nigeria, Malawi and Senegal have only a few dozen lions left. “We’re dealing with a species that is rapidly going extinct but because we are not really focused on lions – we’re talking about elephants and rhinos – it’s a silent extinction,” he said. He warned that allowing the trade in lion bones to proliferate would stimulate a demand for the product. “Soon someone will [realise] it’s cheaper for to poach than to pay the owner of a captive animal to get the bones,” he said. But Professor Pieter Potgieter, chairperson of the South African Predator Breeders’ Association, defended the industry saying there is little difference between breeding lions and any other mammal. “Chickens are killed by humans. How are lions different from them?” he asked. “In principle a lion is not more or less than a crocodile, an ostrich or a butterfly. It’s a form of life. Breeding animals for human exploitation is a natural human process,” he said. Potgieter said that breeding and hunting lions was only deplorable in the eyes of the public because a “sympathetic myth has been created about the lion as the king of the animals”. In 2007 former environmental affairs minister Marthinus van Schalkwyk attempted to put the brakes on canned lion hunting. It was widely reported that the activity had been banned in the country but this is not the case. Some changes to legislation were made but the Supreme Court of Appeal ruled in favour of the Predator Breeders’ Association and overturned an attempt to enforce a two-year waiting period during which a captive-bred lion would be allowed to roam freely in an extensive wildlife system before being hunted, which conservationists had labelled an attempt to “pretend that the lion is wild”. Captive breeding of lions is not the answer to saving Africa’s lions, nor is translocation, or indeed any one of the current solutions proposed. A variety of responses is needed. ALERT believes, as a result of vigorous analysis of the chances of success of current conservation solutions, the increasing threats to lions, and that translocation on its own is not sufficient, that captive breeding is a necessary addition to the armoury in our fight to ensure lions remain in viable numbers on this continent. The most comprehensive assessment of lion (Panthera leo) numbers to date determined that Africa’s once-thriving savannahs are undergoing massive land-use conversion and burgeoning human population growth. The decline has had a significant impact on the lions that make their home in these savannahs; their numbers have dropped to as low as 32,000, down from hundreds of thousands estimated just 50 years ago. The study, funded in part by the National Geographic Big Cats Initiative, was published online in this June 2012 by the Journal of Biodiversity and Conservation. Some 24,000 of the continent’s remaining lions are primarily in 10 strongholds: 4 in East Africa and 6 in southern Africa, the researchers determined. Over 6,000 of the remaining lions are in populations of doubtful long-term viability. Lion populations in West and central Africa are the most acutely threatened, with many recent local extinctions, even in nominally protected areas. African savannahs are defined by the researchers as those areas that receive between 300 and 1500 mm (approximately 11 to 59 inches) of rain annually. “These savannahs conjure up visions of vast open plains,” said Stuart Pimm, co-author of the paper who holds the Chair of conservation at Duke University. “The reality is that from an original area a third larger than the continental United States, only 25 percent remains.” In comparison, 30 percent of the world’s original rain forests remain. Stuart Pimm is also a member of the Big Cats Initiative Grants Committee and a regular blogger for National Geographic News Watch. We interview him here about the research released this week. Your study found that the population of wild lions in Africa plunged by two-thirds in 50 years. What’s the methodology to determine the populations then and now? Scientists estimated that 50 years ago, approximately 100,000 lions made their home in Africa’s iconic savannahs. This estimate was made using rough calculations of the size of remaining habitat and lion density. Our research suggests that lion populations have experienced a dramatic decline, and numbers have dropped to as low as 32,000 individuals. We compiled all of the most current available estimates of lion numbers and distribution – continent-wide reports, country-specific lion conservation strategies and action plans, and newly published lion population surveys. To fill in any gaps, we drew from the knowledge of the co-authors and colleagues working across Africa to conserve lions. Counting carnivores is a tricky business. Individual identification is a tremendous challenge and requires high-resolution cameras or good, unobstructed views in person. They are often shy and cover large distances. Lions are difficult to count even though they are social and sleep most of the day. Only a very few lion populations are known at the individual level, such as Liuwa Plains National Park, Zambia. Individual recognition of every lion in an area requires intense study, significant resources, and low numbers of individuals. Therefore, researchers use a variety of other imperfect techniques to estimate lion population size in all other lion areas. Some more common estimation techniques include spoor tracking or call-up surveys. What are the main causes of lion decline? There is a variety of factors leading to lion decline across their range. One of the most important things we identified was habitat loss. People usually think of savannah Africa as being comprised of wilderness, vast open grasslands stretching to the horizon in all directions. However, our analysis showed that from an original area a third larger than the United States, only 25% remains. 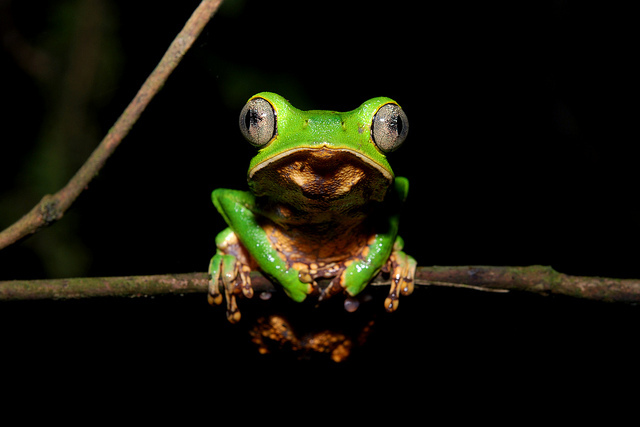 In comparison, 30% of the world’s original tropical rainforest remain. Most of this reduction has come in the last 50 years due to massive land-use conversion and burgeoning human population growth. Besides habitat loss, another major driver of decline is human-caused mortality. This includes poaching, retaliatory killing, and trophy hunting. How many of the remaining 32,000 wild lions in Africa are in stable populations in viable habitat? Where are the strongholds? Our analysis identified only 67 largely isolated areas across the entire African continent where lions might survive. Of these 67 areas, only 10 qualified as strongholds where lions have an excellent chance of survival. These strongholds are located across East and Southern Africa, but importantly no areas in West or Central Africa qualify. Unfortunately this means that for the remaining 32,000 wild lions in Africa, only approximately 24,000 are in populations that can be considered at all secure. More than 5,000 lions are located in small, isolated populations, putting their immediate survival in doubt. What’s the prognosis for wild lions? Extinction? The drastic reduction in lion numbers and habitat highlighted by our research is certainly alarming from a conservation standpoint. Yet, African lions are not in immediate danger of extinction. Substantial lion populations exist in large, well-protected areas such as the Serengeti or Kruger ecosystem. Many of the remaining lion populations in East or Southern Africa are in well-protected areas such as national parks and game reserves (although some of these allow hunting). Nevertheless, this should not be used as a blanket statement; there are populations and even countries in these regions that have few or no lions remaining. Overall, lions in West and Central Africa are in the gravest danger of extinction. More than half of the populations vital to lion conservation in these regions (as noted by the IUCN) have been extirpated in the past five years, with several countries losing their lions entirely. According to our research, fewer than 500 lions remain in West Africa, scattered across eight isolated sites. This is of serious concern as these populations contain the most genetically unique lions in all of Africa and are most closely related to the Asiatic lion. Why is it important that we try to sustain the survival of wild lions in Africa? Large carnivores play valuable ecological roles in “top-down” structuring of the ecosystem. For instance, removal of lions may allow populations of mid-sized carnivores to explode which would have cascading impacts on other flora and fauna. From an ecological perspective, large carnivores are crucial for balanced, resilient systems. However, the lion is so much more than just the largest carnivore in Africa. It is a powerful cultural and political symbol. Attempting to list all the uses of lions in African proverbs, symbols, names etc. would be a nearly impossible task. Finally, lions are vital to the tourism trade, which in turn is economically critical for many African nations. How does your study help conservation of the big cats? You cannot protect what you do not know you have. This is a simple but true adage. Our compilation needed to occur in order to prioritize areas for conservation action. With a good map, numbers, and some understanding of connectivity between the lion areas, we now know which populations are threatened with extinction or conversely, which are well connected and well protected. How is the National Geographic Big Cats Initiative helping the situation for lions? The Big Cats Initiative has quickly become a major player in lion conservation. We have sent nearly U.S.$800,000 into the field of which nearly all is in Africa and over half is dedicated directly for lion conservation. However, we are not doing this alone. Other international organizations like Panthera also contribute. We have developed collaborations with these types of groups to identify and execute important work, and many BCI grantees have contributing funds from other organizations. However, because we focus on actual conservation efforts and not research, we fund many projects that do not have a chance elsewhere. We identify innovative projects that halt lion decline, bring them to global attention, and help them to increase in size. This stepwise process of giving start-up money and then escalating funds to increase scale is unique and the only way to meaningfully contribute to halting lion decline across large swaths of Africa. We have two excellent examples of this process. The Anne Kent Taylor Fund operates in the Masai Mara region of Kenya. This program collaborates with locals to strengthen livestock corrals, or bomas. The boma fortification is so successful that demand is outstripping supply of chain link fencing and many locals are copycatting and experimenting with their own designs. This is the hallmark of a successful program. Another fantastic operation is the African People & Wildlife Fund that works on the border of Tarangire National Park, in northern Tanzania. Their flagship activity is building stronger bomas, but they employ a large variety of tools and methods to interrupt the circle of retaliatory killing of cats. They work at all levels of the community from the schoolchildren to the leaders. Their long-term commitment is helping build a community that sees tangible benefits from preserving big cats, and a culture where retaliatory killing or poaching is unacceptable. Sources – IUCN, National Geo Graphic, Big Cats Foundation, Born Free. Recent studies have shown that areas in which trophy hunting has been permitted by government authorities, lion populations have severely declined even in the absence of other threats. Commercial utilization of wild lion populations is a highly political issue with many proponents and dissenters, but is largely allowed by governments as a venture to deliver capital. Despite some scientific efforts to ameliorate rates of offtake and (doubtful) guidelines for hunters to identify “post reproductive” males, trophy hunting has never been shown to be a sustainable venture, and is known to have many abuses. These include luring lions out of protected areas, exceeding and influencing quota systems, ignoring consequences on reproduction of lion populations by destroying pride males, and taking young males out of the future reproductive pool. If we assume a continent-wide lion population of 25,000, this means that there are about 3,000 adult trophy males in Africa. If we estimate that 40% occur in strictly protected areas, this leaves a “huntable” total of around 1,800 male lions. Trophy harvests have averaged 665 exports per year, an unsustainable off take. Considerable revenues are generated for African nations and as such, consumptive use of lions is part of an overall conservation strategy for wildlife. Various analyses have shown that these arguments are largely fictitious in practice. African rural communities receive a pittance from turning over their land to hunting operators. In Zimbabwe, a community household (average 10 people) will intermittently receive $1 to $3 per annum. In Tanzania communities receive $4 per annum per square kilometre whilst the hunting operators receive $110. The average contribution to GDP from hunting is 0.06% for 11 Africa nations that participate in trophy hunting, whilst 15% of their land is set aside for the practice. Of seven countries that engage in trophy hunting, 696,708 km2 of land is set aside for the practice but employs a total of just 9,703 people, and most of them for six months only. 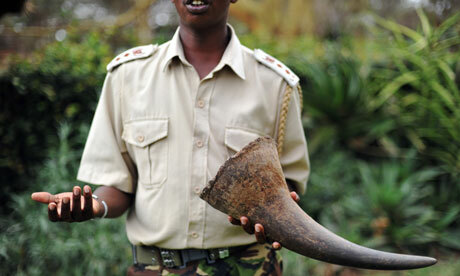 Given such weak returns for communities the incentive to stop poaching is little. The bushmeat trade in Ghana alone is estimated at $250 million per annum. In a nutshell, the concept of “canned hunting” of lions means that the “trophy” shot by the hunter has been raised through a captive breeding program similar to the African Dankbaar Lion Breeders South Africa. There are many of these in South Africa, for example, where breeding populations of lions are kept in enclosures, and their offspring offered to sale for “hunters” who arrive at the game ranch/breeding facility. The hunters get taken to a pre-arranged area where the captive bred lion has been conveniently installed; often times drugged and baited, where they level their high-powered rifles, and take home their wall-hanging, eventually artfully rendered by a taxidermist. Secondary “canned hunting” schemes have been devised by clever operators who lure wild lions from protected areas into their hunting concessions by providing carcasses and playing calls over loudspeakers to attract them over the boundary. This secondary activity should be identified for the criminal act it is, and perpetrators prosecuted. But basically, the “canned hunting” operators working from captive bred animals are providing a desired product for the national (in this case, let’s say South African) and international markets. This needs to be accepted as a fact. 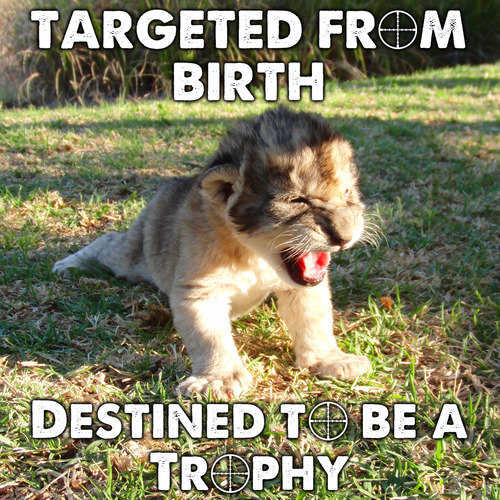 Whether the eventual trophy room is located in Spain, Germany, Hong Kong, Johannesburg, or Houston, and whether the contact with the client is by internet or phone or by word of mouth or by international hunting meetings held yearly in Las Vegas, the demand for lion trophies is there. How much do you have to pay for that trophy on your wall? Well, let’s say you wanted to hunt a wild male lion in Botswana. Probably you would have to debit your bank account for well over $150,000 before you could proudly introduce friends to your latest wall decoration. Of course, if you shopped around, maybe attended auctions by hunting companies, and did not mind travelling to African destinations identified with civil strife, corrupt wildlife departments & politicians, your trophy lion could be hanging there for a bit less. But your best bet in terms of economy remains the “canned lion”. Captive bred, staked out, you are taken there by vehicle, you are back at your camp for lunch, and the stories about the trophy on the wall are yours to invent and embellish. In terms of skill, prowess, proficiency and expertise on the part of the hunter, this probably ranks right up there with shooting fish in a barrel or a cow in a field. 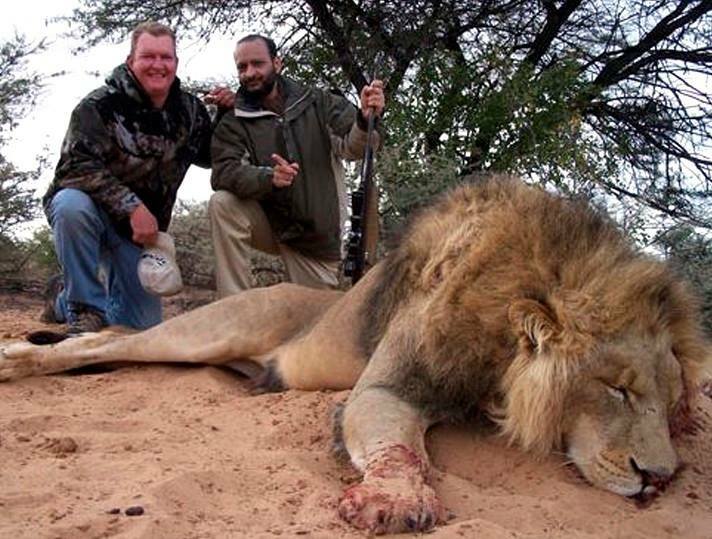 Canned lion hunts have been revealed, regaled, and reviled on television and in print. The practice of “canned hunting” of lions came under recent review in South Africa – the former Minister of Environment took a bit of a stance against it, the breeders complained, it went to court. The initial case was upheld by the courts, but was subsequently overturned by a court of appeals. So the practice will continue for now, perhaps with a few, a very few, controls. There are powerful lobbies at work there, and pragmatists know that ethical principles usually bow to commerce. Controversial as the activity is in terms of public opinion, there are aspects of canned lion hunting that are defensible. First, these animals are actually the property of the breeder, as much so as the impalas, kudu, wildebeest and blesbok on the game ranch. There are probably over 10,000 game ranches in South Africa alone, established to provide wildlife trophies and game meat for a hungry demand by consumers. Restaurants and upscale supermarkets as far away as London and Copenhagen serve meat from African species. Crocodile and ostrich farms sell meat and skins on the national and international markets. Game ranching and game farming is a well-established business all over the world (you can buy kangaroo and American buffalo (bison) meat as well), so given that all these animals are raised in captivity for the sole purpose of their eventual demise (like cows, pigs, chinchillas, minks, foxes, chickens, ducks, geese, salmon etc involved in more traditional farming), can we actually say that a captive-raised lion destined for an eventual demise is any different philosophically from a lamb led to slaughter? Continuing to play Devil’s Advocate, is it not better to equip the trophy rooms of the world with whole mounts, skins, and glass-eyed heads of lions bred in captivity rather than “collecting” them from the ever-diminishing wild populations? From 100,000 lions in the wild in the 1960’s, we are now left with perhaps 20,000 on the entire continent. You could put the entire African wild lion population into a single stadium where people come to watch the Yankees, Manchester United, or the Dallas Cowboys. Oh, and there would still be plenty of empty seats – many Kenyan and Nigerian lions who booked their tickets a few years ago, for example, are no longer able to attend as they are now dead. I decided to do a bit of further research on the subject. CITES, the international regulatory organization that is “supposed” to regulate international trade in endangered (and vulnerable) species by issuing permits for export and then tracking where those exports go, has provided figures that make up this next graph of exported trophies from wild lions shot as trophies in South Africa versus “canned” lions. are made available to the trophy hunter at a much reduced cost compared to the expense involved in embarking on a wild lion hunt. A “canned” lion, if you are a canny hunter, can probably be supplied for roughly $20,000 versus a wild lion costing at least three or four times that. Of course a female lion goes for a real bargain price, you are forbidden to shoot a wild one these days. Dr Kat is a rather experienced conservationist that speaks very truthfully and provides positive factual evidence of which many hunters will never show. The IUCN and Cites rarely touch up on just how bad hunting is taking its toll on the African lions. For example the IUCN merely state that some populations are in decline yet actually bother to go into great detail as do the supposedly protective Cites convention. In South Africa, Vietnamese and Thai nationals have been arrested at O.R. Tambo International Airport with illegal lion bones in their luggage, but levels of the illegal trade are considered much higher than such occasional seizures suggest. With authorities concentrating on illegal ivory and rhino horn shipments, bones could well be smuggled out undetected. The extent to which poaching of lions occurs is difficult to estimate. Since poached lion carcasses are much smaller than those of elephants and a rhino, their detection is more difficult. Even when found, lion remains are likely to be seen as natural mortality and subsequent carcass destruction by scavengers. 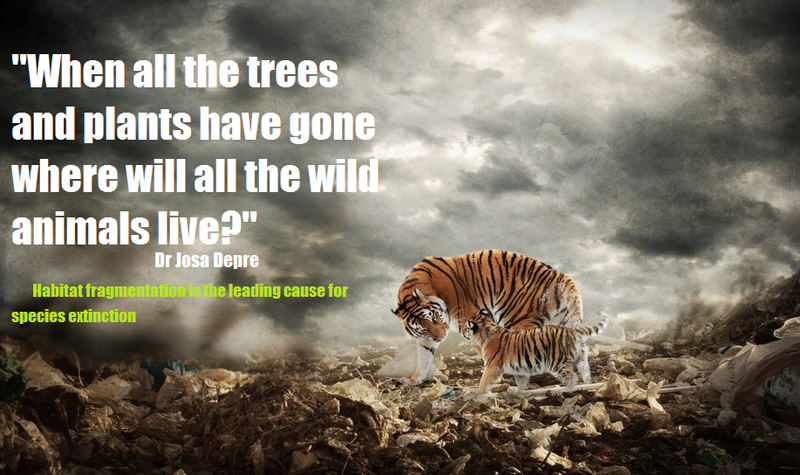 In India, all carcasses of tigers are considered poaching incidents until other reasons for mortality can be supported. Perhaps lion carcasses should now be treated with the same degree of suspicion. From 2009-2011 Cites (Convention on International Trade of Endangered Species wild flora and fauna states the following with regards to lion carcass/bone imports from Africa into Asia. Highlighted above are figures that range only from 2009-2011 all listed on the Cites website of which clearly indicates proof that while trophy hunting and canned hunting of lions continues and there is no laws implemented to cease trade in lion bones from Africa then unfortunately we have a “demand beginning” and to date we do not even know the true figure for 2012, 2013, and 2014 as yet. Hunters that continue to spread the lie they are conserving the species of lion are actually no better than those demanding a trade and the evidence is as clear today as it was in 2009. The South African trade involves lion breeders/canned lion hunters and taxidermists at least, and it is reported that lion bones are selling for about $165 per kilo in South Africa and about $300-$500 at destination. The value of a lion skeleton could therefore be in excess of $10,000. In China, lion bones are soaked for a variable period in rice wine, whereas in Laos and Vietnam the bones are made into a “paste” with added ingredients like herbs (some reports say opium is also mixed in). The paste is then also dissolved in rice wine. Such bone tonics are used to treat a variety of ailments. While this trade is continuing and global governments doing nothing we are set to lose our lion species as we will the Rhino should more stringent actions not be met sooner rather than later. Removal of the trophy from Africa to America we fully understand is “not necessarily” the issue here. It’s the actual collection of bones after the hunt, the peddling of bones which increases demand and poaching too. Ban hunting and we remove the trade in lion bones. Would it increase poaching of lions though within Africa as we are seeing this moment with regards to the Rhino and Elephant? International Animal Rescue Foundation believes not however this is an area for law enforcement, environmental agencies, permit controls and locals to work together. Most at risk is the Asiatic lion (Panthera leo persica), a subspecies of the African lion (Panthera leo) found only in the Gir Forest of India. The Asiatic lion is classified as Endangered by the IUCN Red List of Threatened Species, and has a current population of just 350 individuals. Being such a rareity means the price of such bones increases which is more identical to that of the Indian One Horned Rhino. Although the population is considered stable, a single event, such as disease or forest fire, could result in extinction of this species. And, as we are witnessing with wild tiger and rhino, if poaching increases, this small population is not likely to survive. There are indications of poaching incidents in recent years (there are reports that organised gangs have switched their attention from tigers to these lions). The Wildlife Protection Society of India (WPSI), warned back in 2007 that a new phase in wildlife poaching to meet Chinese demands could wipe out the world’s only Asiatic lion population. This serious new development points to the fact that since tigers are so scarce in the wild, poachers are now targeting the last remaining population of Asiatic Lions. Gir’s lions are an easy target, since they are comparatively used to people and live in open scrub forest. Their bones are also virtually indistinguishable from those of tigers. There is no market for big cat parts in India and their poaching and the trade is entirely driven by demand from outside India’s borders for use in traditional Chinese medicine. Also in 2007, environmental photojournalist Debby Ng wrote in Asia! Magazine that both leopards and lions are now used as common substitutes for tiger bones. Ng has worked with TRAFFIC, WWF, WSPA, and EIA. Ng stated in her article that according to Valmik Thapar, conservationist and one of the world’s leading experts in Indian tigers, 12 to 14 Asiatic lions were poached within six months in Gir National Park. Thapar said that poaching for the Chinese tiger trade was confirmed by the fact that only the bones were removed from the dead lions – just as in the case of tigers killed for Chinese “potions”. Even earlier, Dr. A.J.T. Johnsingh, a wildlife biologist with the Nature Conservation Foundation, Mysore, and WWF-India, reported in 2004 that Gir’s Asiatic lions were being killed by villagers working in conjunction with poachers. In April 2004, a lion was found in the Dedakadi forest range near the Gir headquarters at Sasan, with its right paw nearly ripped off – a sure sign of the use of a leg-hold jaw trap, which is commonly used to kill tigers. Soon officials detected organised poaching of lions, and there were reports of bones being removed from carcasses. It came to light that tribal poachers from Madhya Pradesh disguised as agricultural labourers were killing the lions. 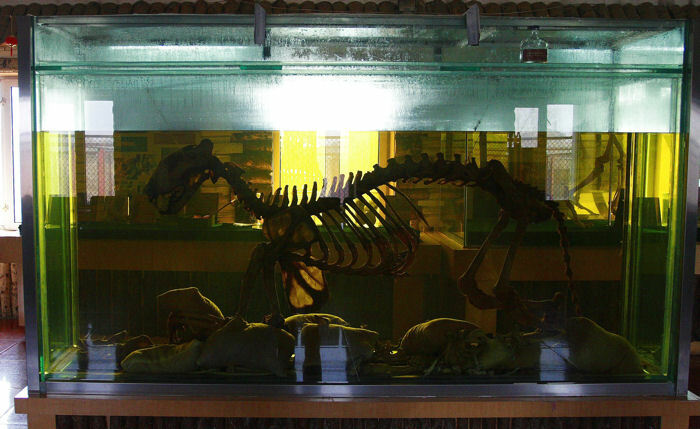 Suspicion pointed persistently to the traditional Chinese medicine business as it is difficult to differentiate bones of lions from those of tigers. While the main threat to African lions at this point is human encroachment (especially poisoning by farmers), Dereck Joubert, a National Geographic filmmaker and writer focusing on big cats, has said in an article in Washington Post earlier this year that African lions are also at risk of becoming commodities in China. Big cats are in trouble everywhere. The number of tigers has dipped below 3 000. Tiger bones are used extensively in the East for medicines and mythological cures for ailments or limp libidos, and the demand is increasing. A growing demand and a disappearing supply is a formula for disaster. The solution playing out is a switch from tiger bones to lion bones, which can be easily sold off as tiger bones. Sadly, one only need to look at the decline in wild tiger and rhinoceros populations to see that CITES protections are not enough to deter poachers. Commercial poaching has become big business – thanks to the boom in population and the “new wealth” in China. And despite being a CITES signatory, Chinese consumption of products derived from endangered species – especially tigers – is flourishing. There is no doubt that If China does succeed in wiping out our planet’s wild tigers, commercial poaching operations – funded by Chinese demand and affluence – will also push lions to extinction. It is beyond a doubt that we are losing many species of animals within Africa and Asia to fund the booming Traditional Wildlife Trade that exceeds that of the illegal arms trade by millions. Hunting of lions must be banned without a doubt or trade and demand for a fake medicine that has no health benefits whatsoever will most certainly skyrocket thus leading to the extinction of our lion prides. We simply cannot any longer sit back and do nothing. 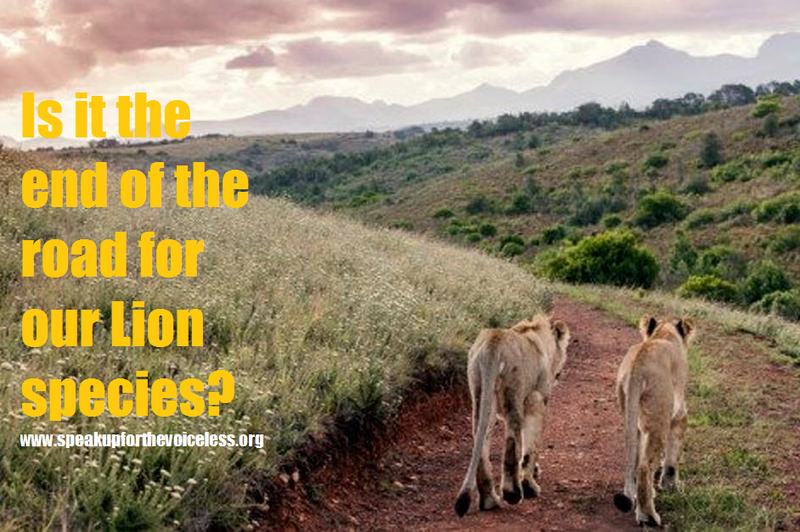 Cites signatories must now ban all imports of lion trophies into their countries. Furthermore all lion stronghold African and Asian countries must ban trophy hunting full stop. Failing this extinction will be on the cards before anyone really takes notice. Tour operators locally and internationally must warn their customers travelling to African petting farms of the dangers in which customers are placing lion populations in. Petting a lion may seem rather cute to some, however has a detrimental effect not only to the lion’s behaviour, health of other lions and game but money raised from the petting business travels directly into breeding more lions, killing more lions thus funding the bone wine trade. Time for this practice to stop starts today. 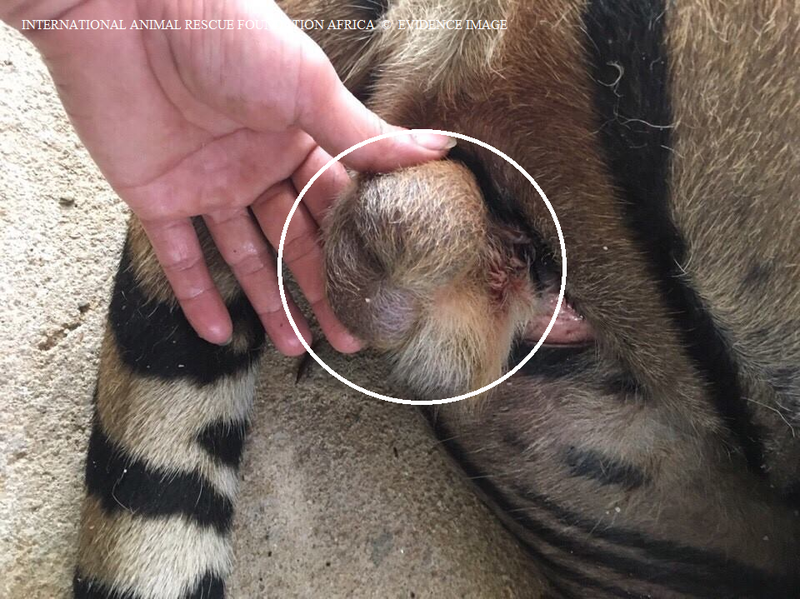 International Animal Rescue Foundation Africa and Europa has as of last month sent emails to many hundreds of tour operators informing them of the dangers. Should we locate ANY tour guide that openly allows such practices we will expose them as a national threat to our lion species. Africa must tackle not only its poaching crisis on a governmental level but also its human over-population explosion too. Lions are losing their habitat every day to provide roads, infrastructure and housing to Africans of which many from 2011-2013 were illegal immigrants from Zimbabwe. Influxes of immigrants from over the borders in to South Africa has increased to gastronomical levels and yet little is being done to secure the borders. Habitat destruction, land conversion, hunting, breeding un-sustainable agriculture, persecution, poisoning and poaching needs addressing on a much larger and wider level. We can all write about the problems and cry out too, this “emotion and thought drive” now needs processing into positive actions by each and every person concerned about the welfare of our countries lions and other mega fauna before it’s too late. 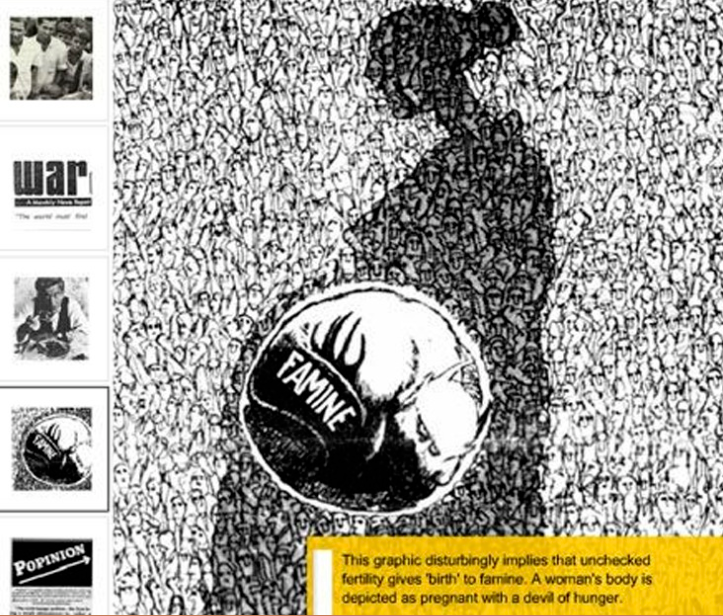 This entry was posted on June 12, 2014 by speakupforthevoiceless. It was filed under You must be the change you want to see in the world .